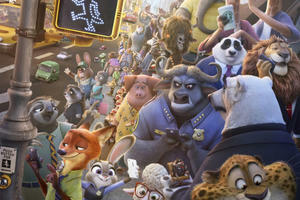 It should also be noted that Zootopia also took down the R-rated “Deadpool” as the #1 film at the box office, something that no other film has been able to do for three weeks. It will be interesting to see where this momentum takes Zootpia, so far it has gotten highly positive reviews, yet unlike a certain recent Disney animated hit, it does not have a juggernaut hit single to help pack the theaters. Zootopia is still in theaters right now.